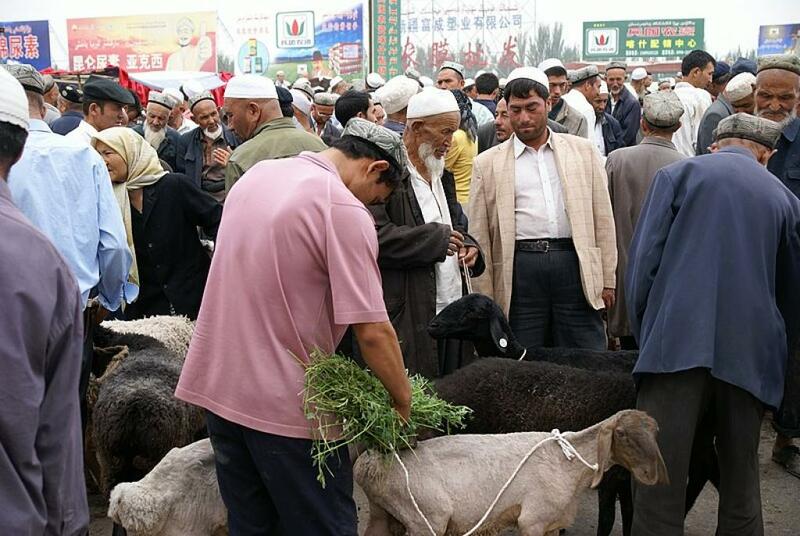 The Uyghurs of China’s Xinjiang Uyghur Autonomous Region (XUAR), are in the news in recent times because of the concentration of millions of them in the re-education camps across the north-western region. Since some major issues and events of Xinjiang’s early history affect perceptions of the region and its populace (especially Uyghurs) today, the history of the Uyghurs is important for the study of the present situation in Xinjiang where they constitute a major ethnic group, predominantly as Sunni Muslims of the Hanafi School of jurisprudence. The history of Uyghurs as narrated by Uyghur and Chinese historians and scholars not only differs from each other, but also contests their narratives. The Uyghur historians and scholars claim their descent from the Khaganate, the Tocharians and the Xiongnu, without any solid evidence, except the one by Uyghur historian Turghun Almas, who in his book, A Brief History of the Xiongnu, claimed that Uyghurs had a 6,000-year-old connection with present-day Xinjiang. However, the Chinese assert their 2,000-year-old control over Xinjiang with irrefutable proof. The Han Dynasty was the first Chinese dynasty to establish control over the western regions. Much of the Chinese claim of Xinjiang being a part of China is derived from the Han expansion. The 55-page White Paper “History and Development of Xinjiang” issued in 2003 by China’s Information Office of the State Council clearly states: “Since Han rule (206 BC-220 AD), Xinjiang has been an inseparable part of the unitary multi-ethnic Chinese nation.” It further states: “in ancient history, many tribes and ethnic groups lived in Xinjiang. The ethnic origins of the residents of Xinjiang began to be clearly recorded during the rule of the Han Dynasty, the main ones being the Sai (Sak), Rouzhi (Yuezi), Wusun, Qiang, Xiongnu (Hun) and Han.” China clearly refutes the existence of Uyghurs as an ethnic group during Han rule. Glimpses of Xinjiang’s early history were found in the late 1990s, when mummified bodies were excavated in the dry earth of the Tarim Basin. Their features and clothing were indicative of their migration to Xinjiang from much further west and that they might have been of Caucasian origin. The earliest indigenous inhabitants of present-day Xinjiang were probably Turkic-speaking migrants of Mongolia, from whom the Uyghurs claim descent. It is generally accepted that the first people in history who can be referred to Turks lived originally in the steppes of what is today the northern part of Mongolia. The languages of other Altaic people such as the Mongols and Huns are more distantly related to the Turkic languages. These tribes of the steppe came into contact with the Chinese as their empire expanded and contracted from dynasty to dynasty. To the Chinese, Uyghurs, who were the sedentary inhabitants of the oases along the Tarim Basin and Turpan depression, owe their origin to the Dingling nomads in northern and north-western China and areas south of Lake Baikal and between the Irtysh River and Lake Balkhash in the third century BC. The name Uyghur, literally meaning “unity” or “alliance”, first appeared in the 8th century AD, referring to people who ruled an ancient Turkic state founded in north-western Mongolia. In 744 AD, Qutlug Bilga (Kuli Peilo) founded the first Uyghur kingdom at Karakorum in Mongolia. Thus, it is proved that the Chinese historians portray modern Uyghurs as direct descendants of this ancient Uyghur kingdom (745 AD-840 AD) only, not earlier than the kingdom. The Chinese narrative of Uyghur history shows that China has made sustained efforts to keep Xinjiang within its orbit, which has geopolitical, strategic and security importance for China. Immediately after the “peaceful liberation” of Xinjiang in 1949, the Chinese Central government announced its policy based on the goals of consolidation of Chinese control in order to assimilate the Uyghurs in the national mainstream. This policy was governed by Beijing’s desire to build up Chinese authority in an area where it previously had no real base. In the post-Cold War period, the importance of Xinjiang for China increased due to emergence of independent Central Asian Republics (CARs), the people of which have ethnic, religious and language similarity with the Uyghurs. The establishment of the CARs not only brought about a model of political sovereignty and cultural autonomy, but also a new awakening among Uyghurs about their pan-Islamic and pan-Turkic identity that continued to inspire the Uyghurs. The rise of radical Islam and terrorist infrastructure across the globe in the 1990s and the 9/11 terrorist attacks followed by the Global War on Terrorism by the US-led Allied Forces prompted the Chinese authorities to take stringent action against the three “evil forces”—separatism, extremism and terrorism. The Uyghurs’ efforts to use every possible means to internationalise their cause demanding a separate nation out of the People’s Republic of China have backfired because China’s astute diplomacy, economic prowess and military strength has successfully narrowed or minimised the support of any foreign force for Uyghurs. The Chinese government has been too strong for the minuscule Uyghur separatists. Those Uyghurs who have tried to threaten China’s national unity and territorial integrity are either executed, sentenced to rigorous or life imprisonment or forced to leave the country, or now sent to the re-education camps.